Yahoo messenger is one of the old and popular Instant Messaging services provided by Yahoo. It helps you connect with your friends and family when and where you want to; chat, make free voice and video calls over internet, send SMS, share photos, and so forth. You’ll just need to sign into yahoo account from your web browser or sign into Yahoo Messenger software/application downloaded in your device. Must have Yahoo ID and its password. Don’t have a Yahoo account; create one for yourself for free. And, you’ll also need an ID of the person you want to get in contact with via Yahoo Messenger. Open your web browser and login to your Ymail account. 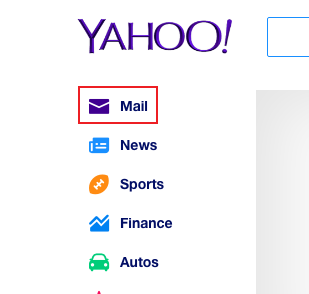 Then, in your “Yahoo Mail” page, on the top-left corner, click on the emoticon 😀, above the “Compose” tab. Yahoo Messenger will pop open in a small box. 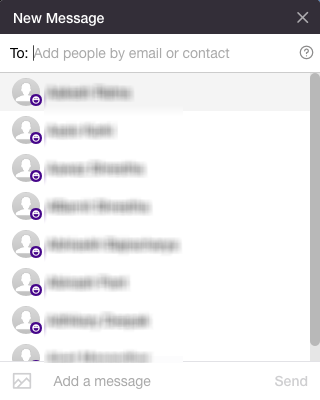 You’ll find the list of contacts you have added to your Yahoo Messenger. Click on the contact you want to IM with, or type in the name of the contact in the “Start a conversation with…” box and hit search. However, you can just use it to send text messages. 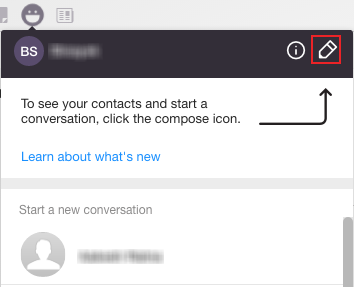 To make voice or video calls to online contacts or send SMS, you’ll need to login in via Yahoo Messenger software/application as described below. First, you’ll need to download the software or app if you don’t have one already. In addition, you may also need a plug-in to enable voice or video calls, especially in your mobile device. In your App Store or Play Store, search for ‘Yahoo Messenger plug-in’ and install the plug-in. Then, into your software or app, sign in with your Yahoo ID and Password. And, same as above find your contact you want to talk with and click open. Then, can type in your text message. Or, if you want to make voice, video calls, click the ‘Call’ button to get started. In your mobile device, open the Yahoo Messenger app. Sign in to your account by entering your Yahoo username and password. Select the Yahoo contact you want to contact to. To make PC-to-PC calls, you and the friend you call both need Yahoo Messenger, plus a microphone and speakers/headset. If you are using a laptop, you probably have these tools already built-in. However, if your friend is not available, you can leave them a free voicemail. Voicemails are delivered as attachments in email to the address you choose. You also can make regular call to regular and mobile phones. You’ll need to sign up for a Yahoo Voice Phone out account to make calls from Yahoo Messenger to your friends’ regular or mobile phones worldwide for as low as 1 cent per minute.